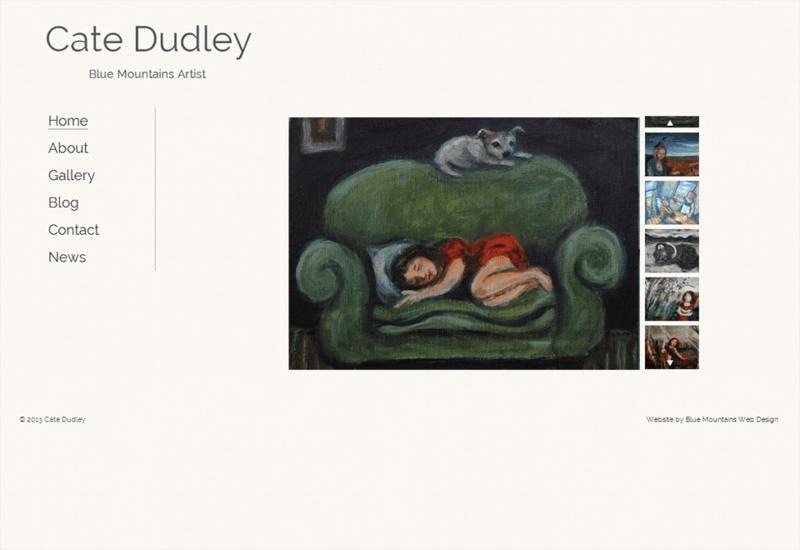 This website is for a Blue Mountains artist, Cate Dudley. She wanted a website redesign and a site she could manage herself. I used the WordPress content management system and added custom post types to make it easy for Cate to change the images in the home page slider and to add new works to her gallery. The is also responsive and is optimised to be viewed on tablets and smartphones.